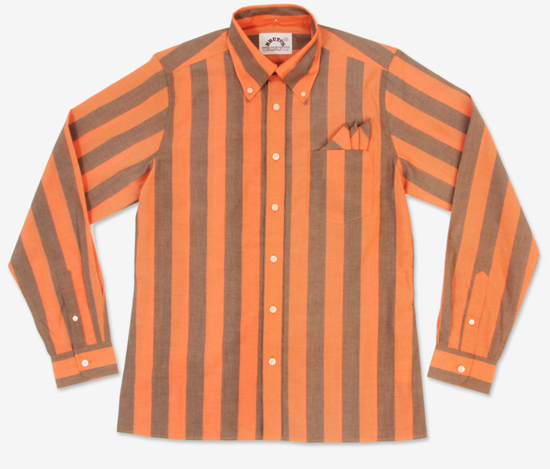 Do you remember those shirts Paul Weller designed for Ben Sherman back in 2007? 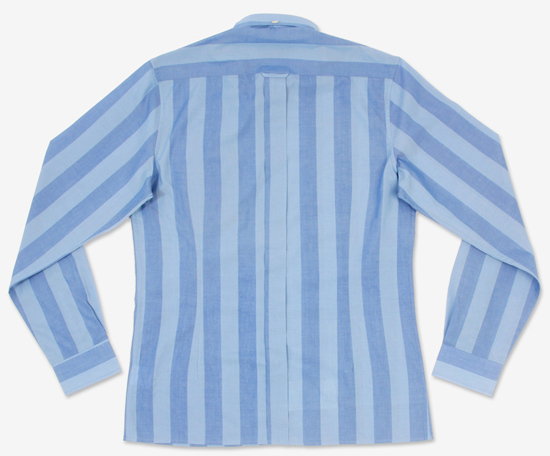 Well, something similar has appeared from Brutus with the Trimfit striped long-sleeve shirts. 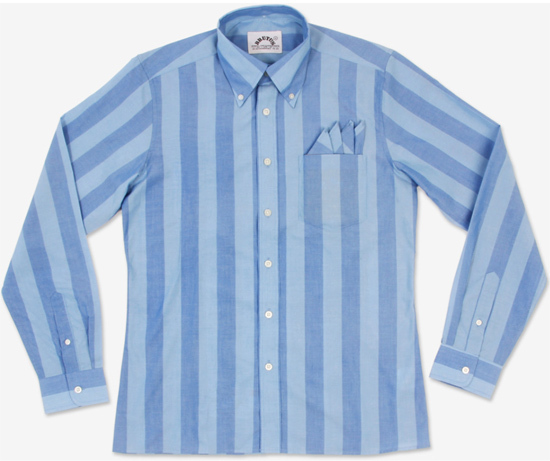 The colours are different (but not massively), however the style is almost identical. 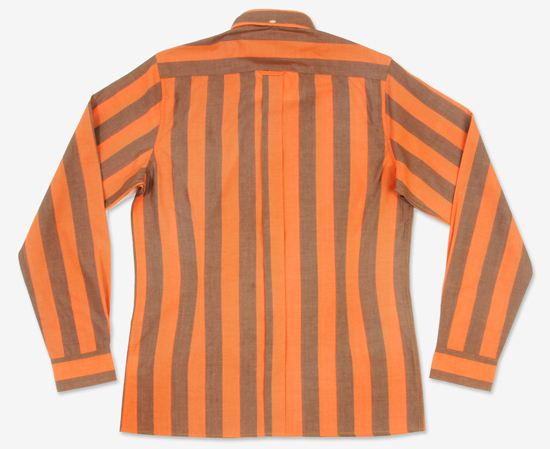 A strong, fairly thick stripe in either blue or orange / brown, all with the trademark three finger rolled button-down collar, matching chest pocket, long sleeves (which is rare for a Brutus) and a design that’s shaped and darted for a closer fit. Sizes go from small to XXL, so that should cover just about everybody. As for price, you are looking at £55. 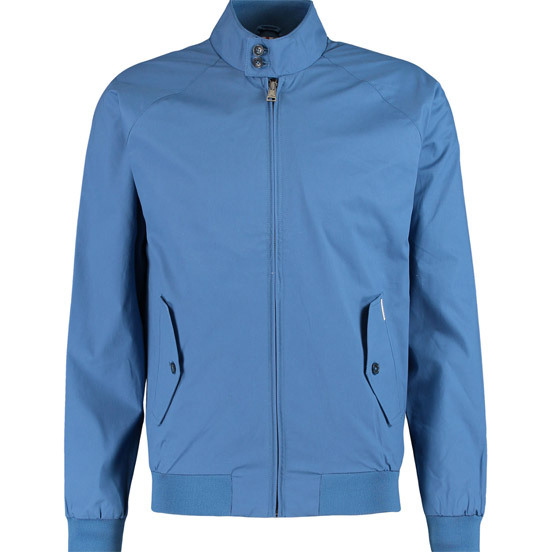 Which is obviously a lot cheaper than a Paul Weller Ben Sherman on eBay. You can find the orange one here and the blue one here.